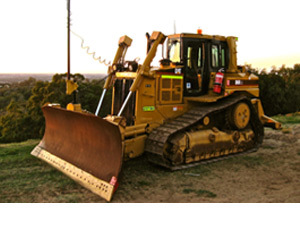 EXP Resources specialises in the hire of low houred road construction equipment to the civil and mining industry. As a leading provider of civil and mining equipment in WA, we provide our clients with a specialist service complete with well-maintained machines, skilled operators and onsite support and maintenance. 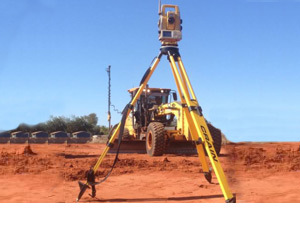 No matter what civil and mining equipment you have in Perth, we have the WA solution to best suit you. Our range of equipment includes (but is not limited to) graders, final trim graders, a Posi-Track, and low loaders. We provide competitive rates which make it easier for project managers, builders and others to get projects completed on time and on budget. EXP Resources is dedicated to providing a smooth and hassle free hire experience. Equipment transport is what we specialise in and we will help you no matter your companies’ requirements. 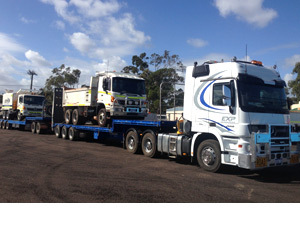 We are a family owned business with over 40 years of combined experience in earthmoving, heavy haulage and road contracting across Perth and wider WA. We have the equipment, knowledge and the operators to get the job done right, safely and on time. Our approach civil and mining equipment services is comprehensive and diligent; we listen carefully to your needs and concerns to make sure you have all the expertise and resources you need on hand to make the most of our great machinery and equipment. If you’re a project manager or director looking for a better experience when it comes to equipment hire, contact EXP Resources today. With years of experience between our staff, you can be assured that we provide the best possible experience and knowledge to whatever your next job is. Our large range of equipment positions us to help you in a variety of situations and we love nothing more than solving a transport problem. Contact us today on 0417 239 206 to find out more about the large range of services available and book our expert services now.